This installment of Read Your Way Around the World is taking us to Denmark. Denmark is well known as the birthplace of famous author Hans Christian Andersen and renowned philosopher Søren Kierkeregard, as well as that of famed explorer Knud Rasmussen. 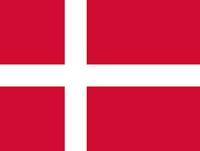 Denmark is also recognized for the huge role of the Danes in the resistance during World War II, which still informs much of modern literature about Denmark. 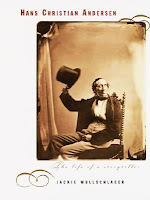 Hans Christian Andersen : the life of a storyteller, by Jackie Wullschlager. "January 1922. With powerful forces of a new century pressing in around them, Danish explorer and scientist KnudRasmussen visits the isolated camp of the great Iglulik shaman, Aua. For Rasmussen and his protégé, the young anthropologist Therkel Mathiassen, arriving at Aua's family camp is like falling into Paradise, an arctic Garden of Eden with an intoxicating mix of spiritual and physical vitality, joyful intelligence and exuberant generosity. What the Danes don't realize is Aua's temporary fortress of beauty and tranquility stands surrounded by the steamroller of the twentieth century – the introduction of Inuit-language Christian bibles, increasing dependence on foreign trade goods and the first police investigation of a murder of a white man – and that nomadic Inuit can't stay in one place even if there's nowhere safe to go." A Canadian playwright's tribute to her Danish Great aunt, Agnete Olsen, who lived and fought in Nazi occupied Denmark. Just a bit of trivia related to Denmark. The American film "Brothers" (currently in theatres) was originally a Danish film starring actress Connie Nielsen. It was released in 2004 and is in the Halifax Public Libraries collection.